How well do you know your significant other? Do you know every little intimate detail about your fiancee/fiance? Which one of you knows the other just a tad better? Can you boast that you know more about your beloved better than they know you? Have you asked all of those personal questions for couples that every duo has discussed at one point or another? Believe it or not, there are couples that have been together for years that don’t know each other’s favorite song, or what they wanted to be when they grew up. Are you in the dark when it comes to those little details about your honey? Well, just in case you happen to be one of those couples that keeps their private life under lock and key, it is time to open up the vault! We have gathered a list of 21 questions to ask your bride/groon before wedding that are guaranteed to bring you closer than ever. Even if you know each other as well, as possible, there is still something you can do to surprise her! How? Get her a bridal subscription box! This wedding themed gift is sure to bring in an element of fun into wedding preparations! Each bridal box is a perfect present for a bride, who knows how to amaze and how to be amazed! Ready for your big wedding adventure? Follow Miss To Mrs Bridal Subscription Box! If you want, you can make this a game. Print up two copies of this list of questions for couples. You can each take one and take some time to answer them as honestly as possible. Exchange your papers once you have completed all the questions. It will make a nice keepsake for you both to look back at one day. Or you can ask them aloud. Maybe even make this a fun date-night activity. Have a romantic dinner at home and snuggle up on the sofa afterwards. Take turns asking each other a question and then answer each in turn. 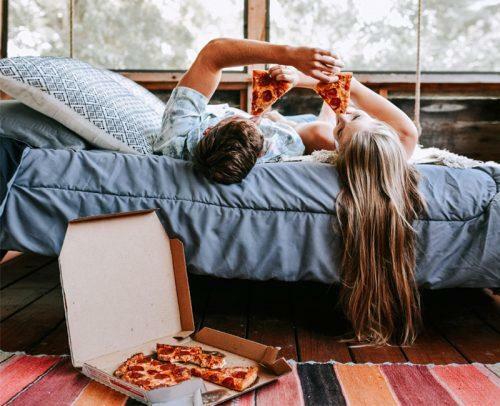 I promise you won’t regret it and you will feel even closer to your loved one once you have both finished this quiz of fun questions for couples. Some of these questions are lighthearted and fun, while others are a bit deep as they delve into personal beliefs and the life. But don’t worry, these are designed to help you get to know one another better. Some of them may even spark an interesting debate! Just be open and honest, no matter what. Describe your perfect romantic getaway. How much quality time do you think couples should spend together? What depresses you and how do you deal with it? What is your least favorite household (or outside) chore? What foods do you absolutely detest? Who was your childhood best friend? Are you still in touch? Who is your current best friend? What are the top three places you would like to travel if money was no expense? What was your dream job as a young child? As a teenager? What is your biggest insecurity? How are you working to overcome it? What qualities do you value most in a marriage/relationship? What is the best thing about our relationship? What are you most proud of at this stage in your life? What is the most daring/crazy thing you have ever done? Name one person from history you would like to meet? What would you ask them? Describe your secret fantasy in detail. What is one habit you wish you could break, but can’t? Remember to be as honest as you can, without being hurtful. 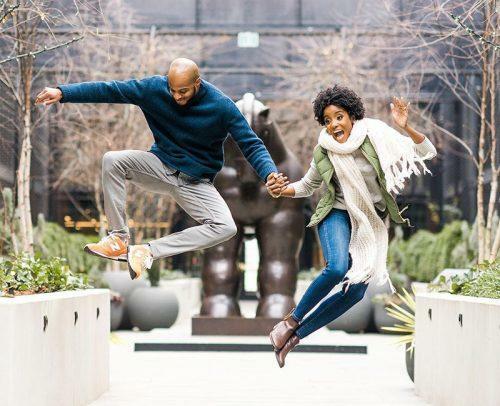 I promise that these questions for couples will inspire you to dig a little deeper and get to know your partner on a more intimate and caring level! 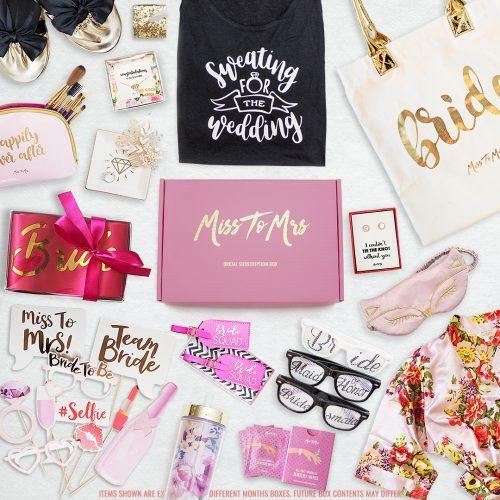 Get Miss To Mrs Bridal Subscription Box! Say YES to less wedding planning stress!